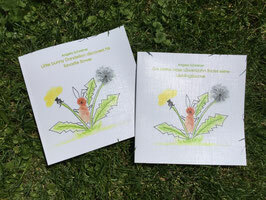 Little bunny Dandelion discovers his favorite flower - familyabroads Webseite! This story is about little bunny Dandelion discovering his favorite flower. It has a shiny, cheerful color and grows and flourishes wherever the breeze takes it. Little bunny learns, that the has the exact same skills this flower has. This book is dedicated to all kids, whose lives are often uprooted.